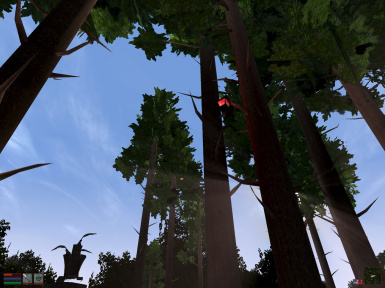 Explore the dense forests of the western Inner Sea on your way to the Velothi Coast. 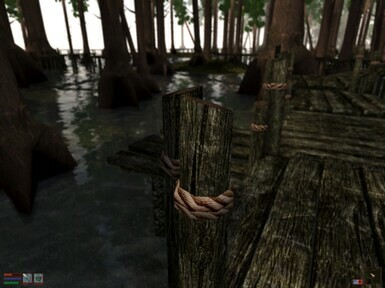 This region can be explored by rickety boardwalks that snake through a forest of giant redwoods. Feel free to add to this mod as you wish. There's nothing I love more than seeing others expand upon my creations! 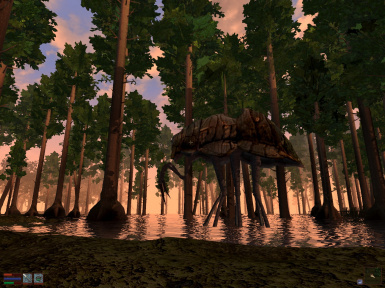 I want to thank Vurt for his tree models, Melchior Dahrk for helping with some models, and abot for his Silt Strider animations. Also a big thanks to Dana Darko and abot for help and advice in the creation and debugging of this mod! Latest Version 1.5: Updated to work with Tamriel Rebuilt's Map 4 Alpha. This REQUIRES Atmospheric Sound Effects or MGSO. 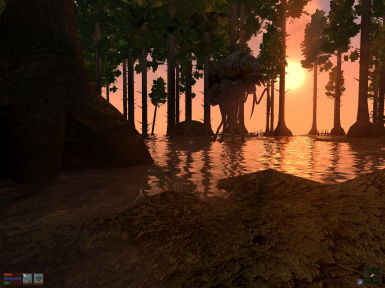 Get it here: http://www.nexusmods.com/morrowind/mods/42950/? and here: http://www.nexusmods.com/morrowind/mods/36945/? 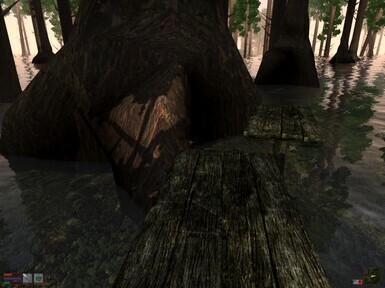 This region is the first area of the Inner sea Woods. 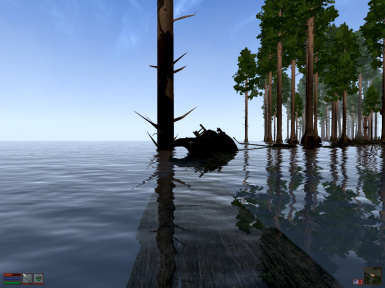 It is covered in tall redwoods that stand out of this shallow stretch of sea. 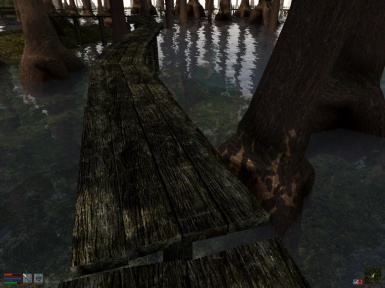 Boardwalks are your main way of traversing this expanse. 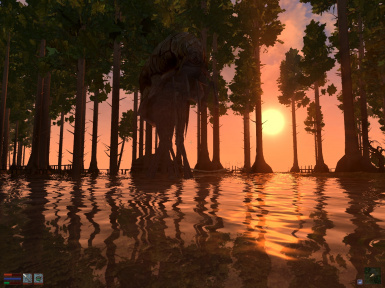 This area is scarcely used or traveled and ships coming from Cyrodiil or Skyrim often get trapped in the grips of the forest or beached on shallow rocks. There are some inhabitants that watch over the region but they are few and far between. There are some secrets that are hidden amidst the trees.